Where I got the haircut: Affinity Salon, New Delhi. It's not the kind of salon I'd want to go back to. It's over-staffed & I didn't like the vibe. Forget about tea/coffee, they're stingy with friendly/welcoming smiles too. A few people have also said the same, and now I know why. They have many branches in Delhi, so I hope the other branches are nicer! Color: It's still the same as last time. 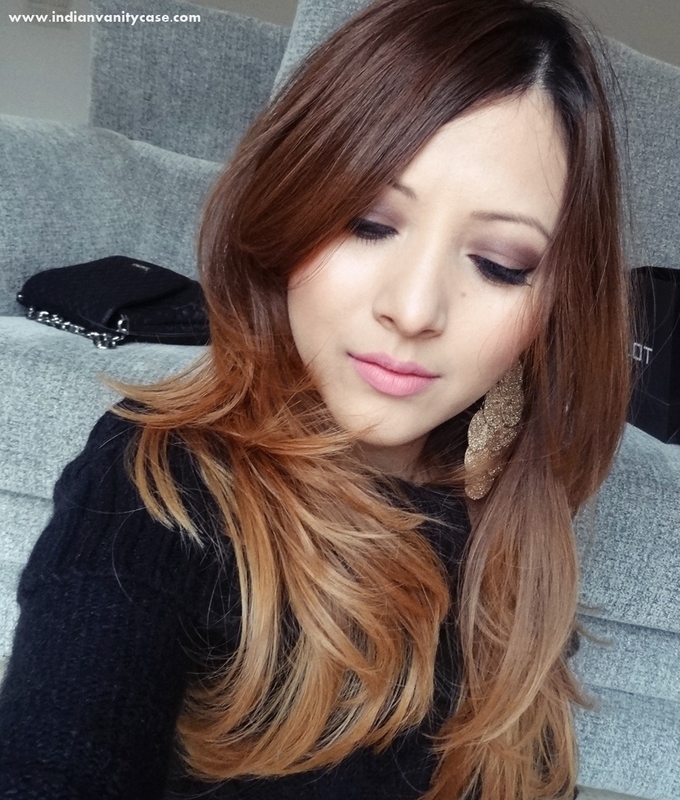 I used Nice & Easy 106 Natural Medium Ash Blonde & L'Oreal Feria Extreme Ombres Kit F02 Platinum Ombre. Here, it's 2nd day dirty. I washed and blow dried it on Friday, used my Babyliss Volume Waves Curling Tongs yesterday. I thought I should leave it straight-ish so you can see the cut. Face: L'Oreal BB Cream Ivory, Bourjois 123 Perfect Foundation, Maybelline Fit Me Concealer, Collection Lasting Perfection Concealer, Inglot Translucent Loose Powder. Eyes: Inglot Eye Makeup Base (Primer), Naked 3 Palette, Collection 2000 Black Gel Liner, False Lashes, Maybelline The Colossal Smokey Eyes Mascara. Cheeks: Benefit Coralista, The Body Shop Honey Bronze Bronzing Powder. Now, 2 weeks later, I think it was the right thing to do. The hairstylist gave me exactly what I wanted + more volume & no more split ends! Have a great weekend, all! If you're wondering if we went out for V-day yesterday, nope. Didn't get early reservation at a restaurant - 'Only 11 o'clock', the receptionist said over the phone. I asked what time they close: '11:45. ', she replied. That means: order quickly, eat/inhale food quickly & get out! Very romantic. But it was nice to stay home. Did you hear the thunder?! Hey great haircut. Can you do a post on how to take care of colored hair? is your hair soft even after so much processing? The haircut is greatt.. u get wat all u wanted.. :D ..
You look amazing!! Love the new haircut and your ombre hair colour!! Wow! Your hair look amazing. Soft, touchable and much more voluminous. Did you say you coloured them yourself? Then you have done a fab job! The new haircut looks lovely. The hair cut looks amazing love the Hair cut. and the mac please me looks amazing too. I Haven't been to this salon but I have been to some 1-2 salons or stores where the staff or SAs are very rude and don't even smile back while I smile at them, then you feel so odd and cheap, infact happened to me today at a particular store.,I was asking for some info and they replied really rudely....If you don't smile or be warm towards customers (in some case this also applies to bloggers,won't name but some bloggers are VERY rude ,so in that case readers) , Don't expect them to come back to your shop/salon/whatever. You look amazing. Love your hairstyle and color. having that haircut gives volume and style. I wish I had that kind of hair too but my is so fine so its always straight. 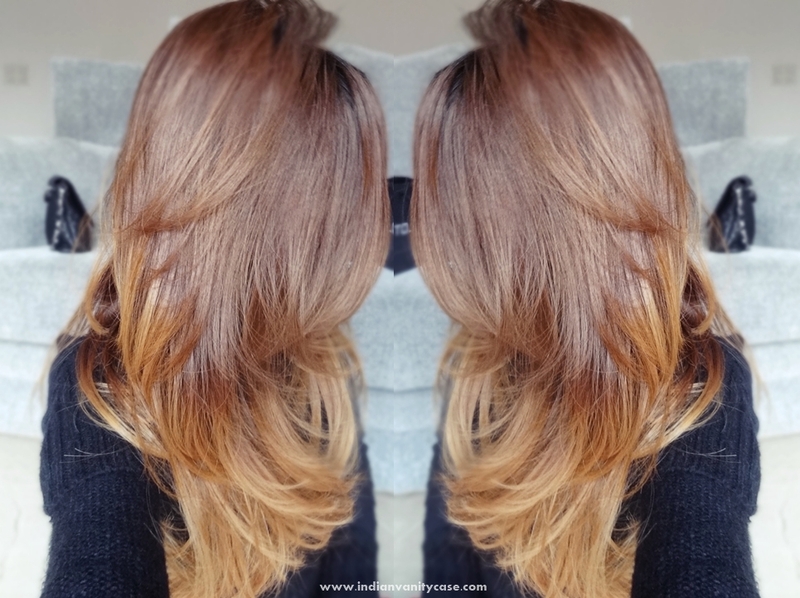 Love ombre hair a lot. I too did it for my hair and looks great. Will be sharing on my blog soon. BTW you lovely as usual.